Kasia Komperda is an immigration paralegal with over 5 years of experience in immigration law. Specifically, she has experience drafting complex immigration petitions and applications, including non-immigrant visas (such as H-1B, L-1, TN, B-1, J-1), immigrant visas (I-140) and green card applications (I-485) for filing with the immigration service; and Labor Certification (PERM) Applications, including introductory case analysis, ETA-9089 Filings, and Audit responses. She manages correspondence with foreign nationals and client representatives regarding requirements, timelines, and expectations. 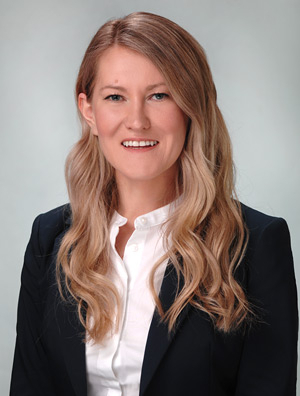 Kasia also has experience with family-based immigrant and nonimmigrant matters, citizenship applications, DACA, Hardship and Persecution Waivers, VAWA and Asylum.